In 2018, many investors are alarmed by the unsettling wave of stock volatility. As the result of the frequency and severity of the market swings, traders and investors became prone to investment losses. Making a profitable investment in the US market grows increasingly challenging to retail and even institutional investors. Many investors believe that it is merely a speculation to try and time the market. No human trader has ever been consistent in successfully timing the market. Despite all the rationalizations of one’s trading, very often the reality and outcome of the stock price movement will diverge substantially from the earlier projections. The reasons are fear and greed. A human’s brain often associate meanings into things subjectively when in fact there is no cause and effect relationship.This can happen to anyone, even to the most seasoned traders. Therefore, for many traders what appears to be rational market timing may actually give rise unfortunate results. This does not imply that market timing is impossible. The availability of various data provides opportunities to quantify and conduct a more thorough analysis to time the stock market. Unfortunately no human has the power to handle such tasks due to many limitations like slower processing power, less efficient, full of emotion and limited knowledge development. Therefore, deploying robots to trade is the only solution to deliver a satisfactory and consistent market timing. Introducing Trident, our intelligent robot-trader who thrives in the U.S. market. 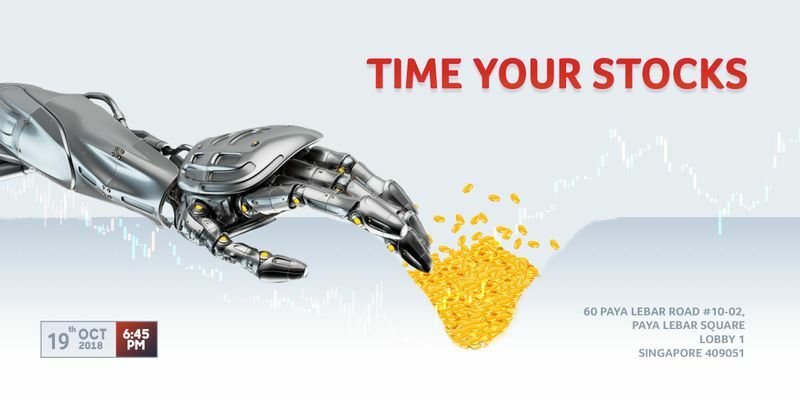 It is the smartest, most consistent RoboInvesting solution in the US equity market with the ability to find opportunities through market’s fear and greed. Trident is designed to listen to your investing mandate and take away your investing workload by crunching tons of data in seconds and outperforming the market through systematic investing and statistical data, giving it an advantageous edge over most human traders as you navigate through market volatility to spot the most profitable opportunity. During this event, witness with your own eyes how Trident made 35% profit per annum in our real trading account. We promise to demystify the science behind the Alpha and explain the technique and systematic approach it adopts to consistently profit from the market. Making money from equity market is no longer a matter of luck. It is science. Experience Trident’s prowess first-hand and manage your money right away after the workshop. Grab your seat and register now! The event will be at AlgoMerchant.